When Winship Cancer Institute decided to expand its multiple myeloma research and clinical treatment program over a decade ago, Kenneth Anderson, MD didn't hesitate to offer his support to the fledgling program. 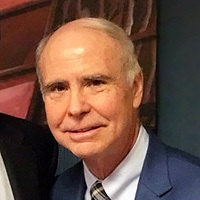 Anderson, who runs the multiple myeloma center at Dana-Farber Cancer Institute in Boston, is an international leader in the field of myeloma therapeutics and diagnostics. "His support for Winship's cancer research and clinical programs lead to a rise in patient volume which increased our ability to enroll patients in pivotal myeloma clinical trials," says Sagar Lonial, MD, Winship's chief medical officer and chair of the Department of Hematology and Medical Oncology. "Ken was a key catalyst who helped us to grow our program from both a scientific and clinical perspective." Lonial first met Anderson during his early years of training as a hematologist. "He has been an incredibly generous mentor who has always gone out of his way to make sure that we have opportunities and that I have opportunities." 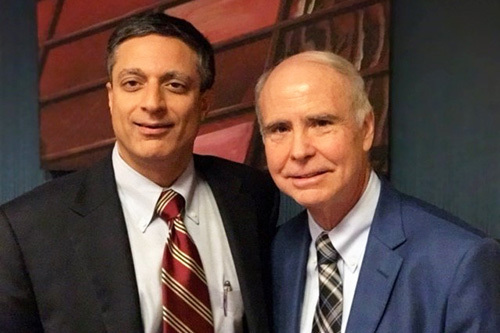 Winship Chief Medical Officer Sagar Lonial with his mentor, Kenneth Anderson, MD.